When news came out weeks ago about the FCC's new take on Net Neutrality it had privacy advocates to normal internet users outraged at the deals it allowed. Internet providers Comcast and Verizon immediately took advantage of it by letting service providers like Netflix have better speeds for payed access, and there are others waiting to do similar. Many think the challenge of the Open Internet Order (OIO) and the rulings that follow will undermine the internet as we know it, becoming an antithesis of what it stands for to a lot of people, which had the FCC chairman Tom Wheeler talk about what they are doing at The Cable Show 2014 & social media. He raised the threat of tighter Title II legislation*1 and said in a blog preserving the Open Internet was "a priority" for the FCC, claiming "all options" are on the table, including reclassifying internet providers so they can be regulated like phone companies. He also said they would be tackling issues like lack of competition between broadband service providers and connection deals of the aforementioned companies. *1 Under the Telecommunications Act of 1996 Title II covers the granting and licensing of broadcast spectrum by the government, including a provision to issue licenses to current television stations to commence digital television broadcasting, the use of the revenues generated by such licensing, the terms of broadcast licenses, the process of renewing broadcast licenses, direct broadcast satellite services, automated ship distress and safety systems, and restrictions on over-the-air reception devices. *2 The Internet Corporation for Assigned Names and Numbers (ICANN) is a nonprofit organization that coordinates the Internet's global domain name system. The Internet Assigned Numbers Authority (IANA) is a department of ICANN responsible for managing the DNS Root and the numbering system for IP addresses. It is headquartered in the Playa Vista section of Los Angeles, California. ICANN is responsible for the coordination of maintenance and methodology of several databases of unique identifiers related to the namespaces of the Internet, and ensuring the network's stable and secure operation. 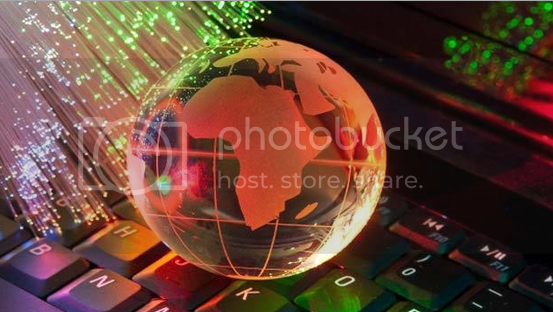 The numbering facilities include the Internet Protocol address spaces (IPv4 and IPv6) and assignment of address blocks to regional Internet registries. ICANN maintains registries of Internet protocol identifiers, and the management of the top-level domain name space (DNS root zone), which includes the operation of root name servers. On September 29, 2006, ICANN signed a new agreement with the United States Department of Commerce (DOC) that moves the organization further towards a solely multistakeholder governance model.